We see the DNA helix everywhere. It helps market computers, trucks, and cosmetics. 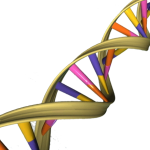 People use the helix as an explanation (‘in my DNA’). But do people understand this famous molecule? In different classrooms, I have asked, “If I left DNA from a wolf in a test tube alone in a classroom, what would you do?” Some students respond, ‘drink it, so I can get wolf power’. Other students have said, ‘enter the room carefully in case the wolf is angry’. But in reality, we would just come back to DNA. DNA is not magical. I think it is awesome but it is just a molecule. So what is it? The full name of DNA is Dexoxyribonucleic acid. Its main function is the storage of information. It is often compared to a recipe and I like that description. If we left a recipe on the kitchen counter for chocolate cake, we wouldn’t expect a chocolate cake to appear (I’ve tried – it doesn’t work). Just like leaving wolf DNA on the counter won’t leave a wolf in the classroom. Recipes need people, ingredients, and machines to make cakes and DNA needs other things in the cell to be ‘read’. 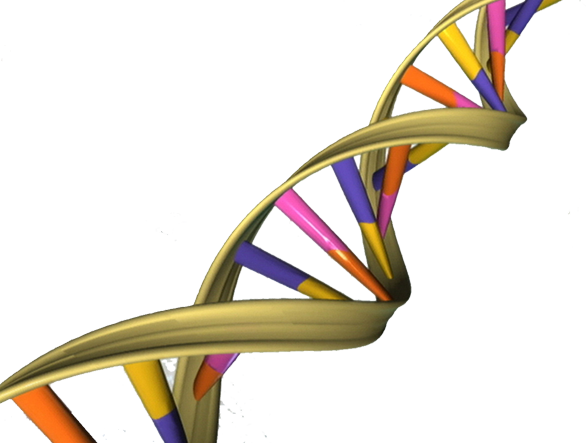 There are 4 bases (or letters) in DNA: A, C, T, G. The order of these bases are the stored information. All living things have DNA with the same structure and bases but the order can change, leading to different things made by cells. Different organisms (humans, wolves, bacteria) use the same storage system but the instructions can be different. Another way to think of DNA is that it is ‘the code of life on earth’ (thanks @davidmanly). But remember, DNA is just the information on how to make things and won’t spontaneously create life. Because our DNA is the same across our cells, that means you can use a DNA sample from blood and it will match DNA from other cells = skin cells from a fingerprint, sperm cells, or cells in saliva. Note: this is also important in medicine because if you can get the same DNA information from a simple blood test. If you decide to do a DNA extraction, you will should see the last image. 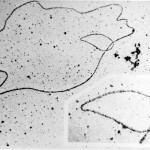 Unfortunately, you need microscopes to see individual strands of DNA (second and third images) and the famous image is rarely seen. Changed the intro, adding the first paragraph. The post was originally written for a grade 7 classroom (thanks @brittgow) and the wolf DNA reference was for them. where do you go to be a dan scientist?. I went to university in Canada. I first went to school for my BSc (4 years) then my PhD (5.5 years). After that, I went to England and California for a postdoc, like an apprenticeship (another 2 years). It was a long time but I would say I become a DNA scientist after the first 2 years, part way through my BSc. Thank you Catherine i learnt a lot. and i have a quiestion where do you have to go to be a forensic scientist. You can become a forensic scientist at different parts of university. Sadly, the people who are DNA experts don’t get to go to the crime scenes like they show on TV. (I forgot to tell you that!) In fact, the DNA scientists often don’t even know what cases they are working on! I learnt that you can get DNA from any part in the body except for your red blood cells and you get half of your genes from your mum and half from your dad. Thank you Catherine for talking to us on skype for Science week it was very interesting. thanks for talking to us about DNA. I learnt that you get half the DNA from your mum and half from your dad. how cool is DNA these days it leads back to the right person in a mystery and being a scientist and all you would have an advantage with all those things. Thankyou Kathrin for spending yor spare time with us. thanks for spending the time with us. it was strange that DNA can come from hair and bones and that TV shows are useless. i learnt that you get half your DNA from your dad and half from your mum. I never really knew much about DNA but now I know lots more. DNA is very interesting! I didn’t know that half of your DNA is from your Dad and the other half is from your Mum. Thank-you for teaching us about DNA! Wow there is heaps about DNA. I learnt that DNA works in different ways and you can do alot with it like determining who’s finger print was most likely on a gun. And how if you touch that gun, it will be contaminated with your DNA. Thanks for talking to us about DNA for Science Week. I learnt that DNA is everywhere in your body,m except in the RBC. I watch Bones and now I know it’s not alwyas how real scientists work. I don’t loook like either one of my parents, but they have given me half my genes each! I learnt that all we all are nearly the same. You can not get DNA from your red blood cells but you can anywhere else. You get have of your dad’s jeans and half of your mum’s jeans. I love this photo of the mum and dad and their child. Thankyou for talking to us over skype and taking your time to talk to us year sevens. It was very interesting. Thank you. Hi gene geek i thought the session was interesting and i really think dna is cool. 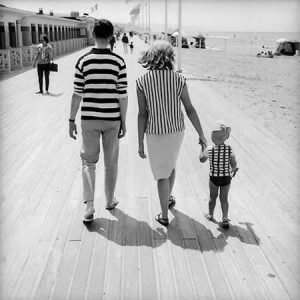 it is cool how half of yore dna is mums and the other half is you’re dad. I learnt what DNA stands for and what DNA can be used for. Thankyou for talking to us about DNA and telling us where it is in our body. Thank you gene geek for teaching us about dna. I learnt that dna is in your blood and that 99.8% of your dna is the same as another persons dna. And that if you went to kill someone with a knife you should wear leather over your hands. 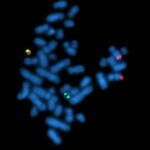 Thank you Gene Geek for talking to as about DNA now i now that all the TV shows like CSI are not completely correct . Your blog carrys a lot of infomation. What I learnt that red blood cells don’t work for DNA only white blood cells. and I also learnt that not everything on bones and other episodes like that aren’t correct with there DNA searches. I’m sorry but I don’t understand the question. Everyone’s DNA has the same structure but the order of the information (bases of A, T, C, G) can be different, leading to different products.